Ah, is this the one you mentioned to me on your other photo? 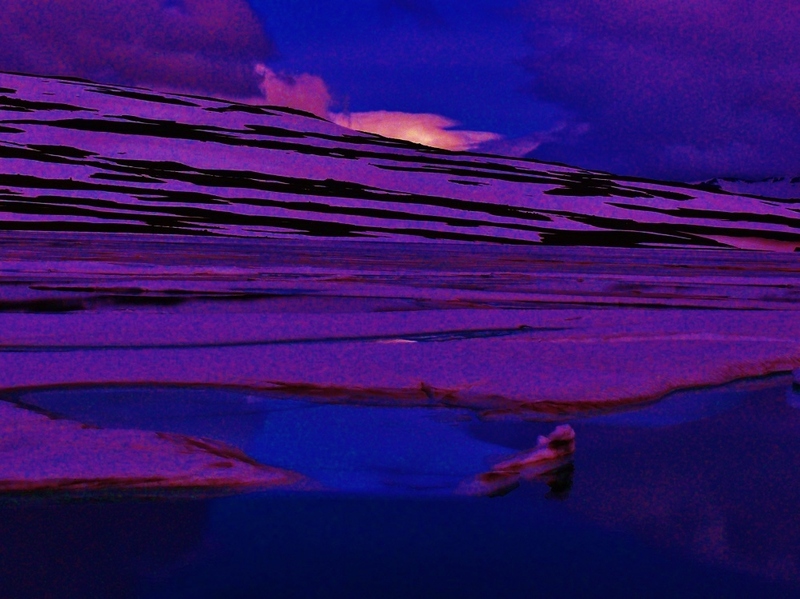 It’s amazing, I can’t tell if the purple snow is from editing, or actual twilight. I’m curious to know though! It is indeed 🙂 And thank you, I’m really glad you like it. I know it’s not ‘proper’ photography, however sometimes I see a composition I really like, yet the photo doesn’t stand out the way I feel it, so I boldly allow myself the freedom to play with it. So no, it’s not the actual colors or twilight, it was taken during daytime. 🙂 I see him too!